Freckleface Strawberry: Backpacks! by Julianne Moore will be released on June 23, 2015 on Paperback. 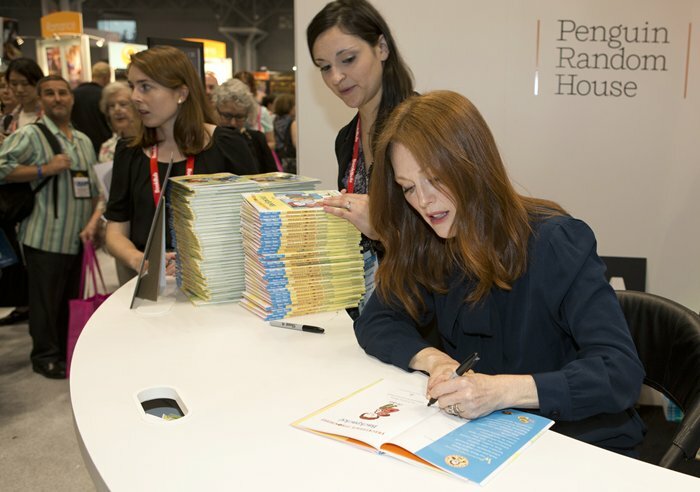 Jacob Javits Center, New York, USA, May 28 2015 – Book Signing by Academy Award–winning actress and New York Times bestselling author Julianne Moore signing copy’s of Freckleface Strawberry: Backpacks! at the Book Expo America (BEA). On the Photo: Actress and New York Times bestselling author Julianne Moore Freckleface Strawberry: Backpacks! 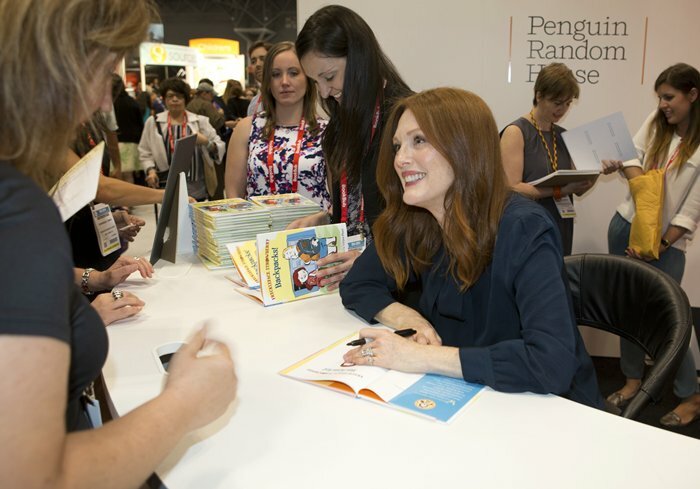 Jacob Javits Center, New York, USA, May 28 2015 – Book Signing by Academy Award–winning actress and New York Times bestselling author Julianne Moore – Freckleface Strawberry: Backpacks! -at the Book Expo America (BEA). Academy Award–winning actress and New York Times bestselling author Julianne Moore brings us more adventures from Freckleface Strawberry! Freckleface and her best friend, Windy Pants Patrick, each have something secret in their backpacks: sticky, gooey gum and a squished, messy donut. When it comes time to pull their homework from their backpacks to hand in to the teacher, suddenly their snack choices seem like a really bad idea. Everyone’s favorite red-haired seven-year-old makes her exciting and hilarious debut in the Step Into Reading line of leveled readers. Source: EuropaNewswire and Randon House Kids.